True to Microsoft Malaysia’s announcement last week, Senheng has just confirmed that it will begin to take pre-order for the new Surface 3 tablet starting this coming Monday, 13 April. However, it seems that the pre-order is open only for the Windows 8.1 tablet and its Type Cover but not for other related accessories. In terms of pricing, it is also slightly higher than last week’s announcement which we believe is due to GST. 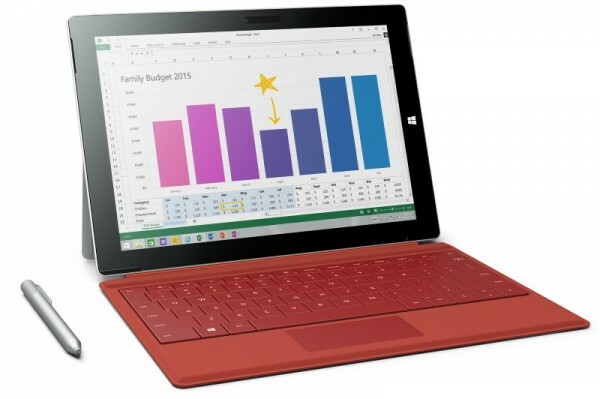 According to Senheng, the 64GB version of Surface 3 now costs RM 1,989 while Surface 3 128GB is priced at RM 2,389. As for the Surface 3’s Type Cover, it is priced at RM 479 with three colourways to choose from: black, bright blue, and red. Meanwhile, it doesn’t seemed that Senheng will be offering a combo bundle for the tablet although each Surface 3’s pre-order through the retailer will be accompanied by a free Surface 3’s protective skin while stocks last. If you are interested to own Surface 3 through Senheng, make sure to place your pre-order on this coming Monday through either through Senheng Online or its Logon’s marketplace. For further information regarding the new Surface 3 itself, head on to surface.com.my.